It used to happen, but now we’re making it past history: he’s a cyclist, boldly cycling uphill and perhaps even taking part in the Eroica, she no. Or perhaps the other way around! 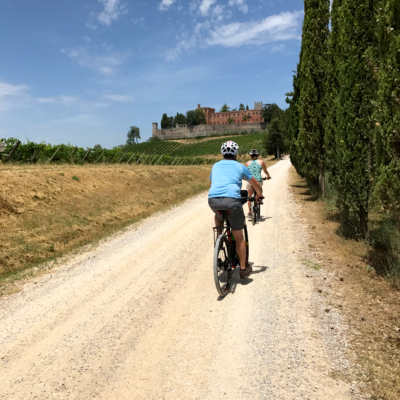 Certainly, cycling in the Chianti Classico area is not for everyone. 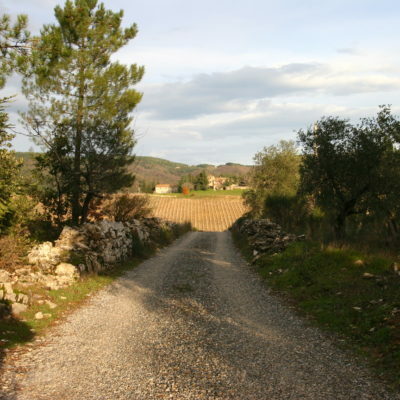 You have to train – a bit – but then the roads are among the most evocative and memorable. Since we don’t like to think of him on his bike and her no, or that she pedals along and he meets her at the finish line with the car, we’ve created the E-Bike Tour. 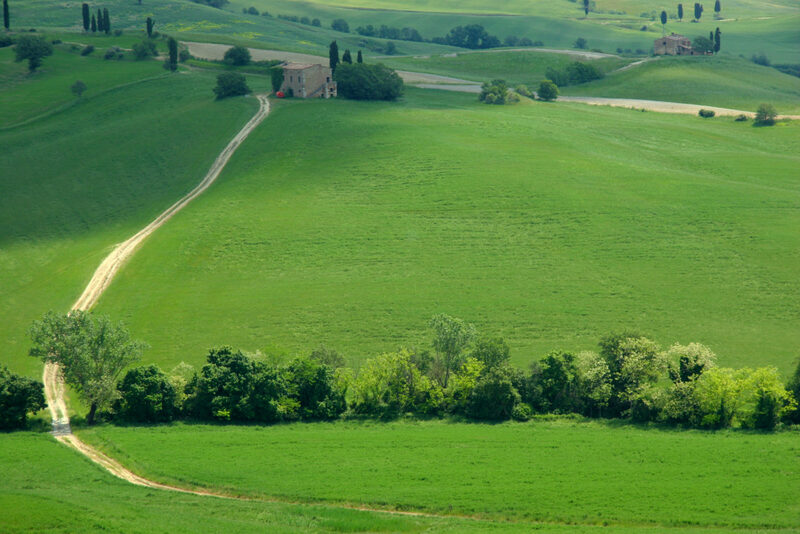 That’s right: it’s our answer to predicaments like these, because it’s so much better to experience Tuscan white dirt roads together and share this unusual experience. After all, it was bound to happen, after charging so many electric bicycles and cars at our charging station active for a year now in front of our offices and Enoteca Wine Shop. So now it’s possible to book the tour, it lasts about 4 hours, for a minimum of two people, and children 12 and over are welcome. Starting time is 9:30 in front of our Enoteca Wine Shop, here in Brolio. The price includes an Atala B Cross Performance E-Bike with a Bosch motor that will take you uphill in a flash! As well as a local expert guide, insurance, cycling helmet and water. 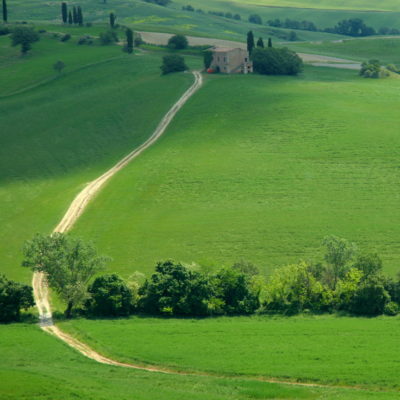 The route is 15 km long, 75% of it on white dirt roads, with an overall elevation difference of 290 m, and it’s really ideal for families, amateur cyclists, wine and history enthusiasts and people of all ages. 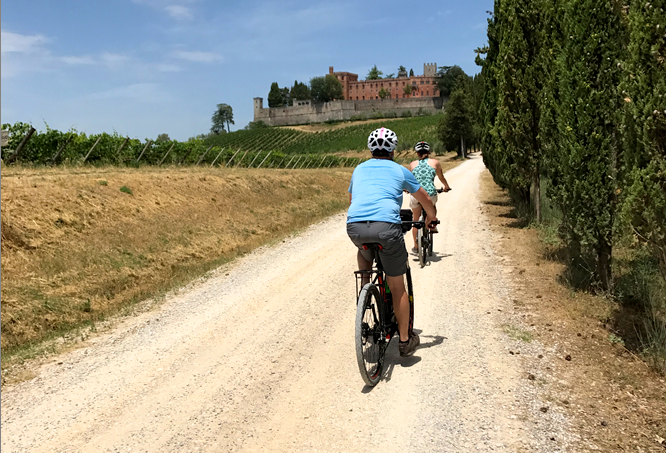 The tour even takes in a section of the famous Eroica, and when you return you can visit the Castle gardens and taste our wines at the Enoteca Wine Shop.